We offer a wide range of sample preparation products for nucleic acids and proteins including products for lysis, extraction, sample concentration, and sample clean-up. We also provide products for manipulating molecules such as kits and reagents for PCR and RTPCR. 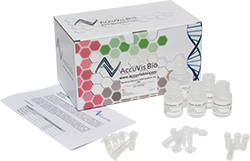 Nucleic acids can be amplified and cloned with our kits, before sequencing, or for expression of recombinant proteins.